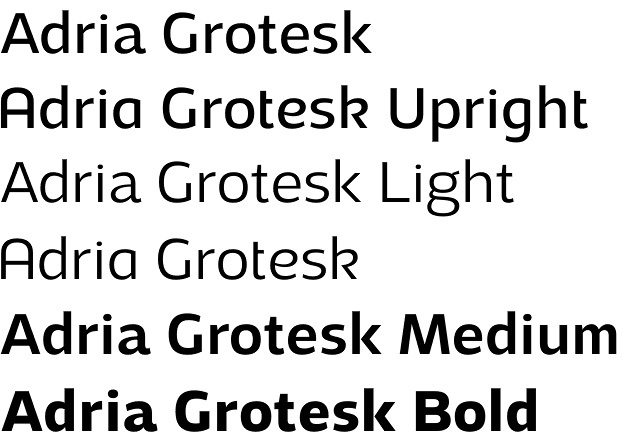 Adria Grotesk font is a family of 7 weights designed by Facetype / Marcus Sterz. We were very excited to find how beautiful Adria is – a sans-serif family with perfect smooth outlines, large openings and excellent readability – all these touched by excellent stylish humanist terminals. Another great surprise were the upright italics – one for each weight sold as separate fonts. Designed with same perfection as regulars, italics have more vintage look flavored with the style of natural handwriting. 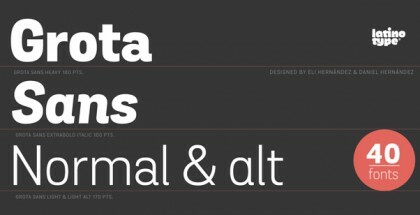 Adria is developed with really lots of open type features and supports full list of multilingual diacritics, a lot of options for numbers, alternates, swashes and ligatures. It is a perfect choice for strong headlines, subheads and large paragraphs of small body text. 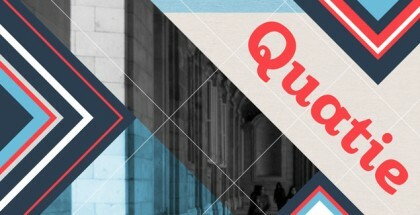 It would look excellent on your package, book cover, typographic poster, stationary or logo.